Economic development through industrialisation is the fruit of a concerted synergy of several initiatives, namely, a stable political leadership, investor friendly government policies, proactive institutional support and above all a positive attitude within every person involved in the process of facilitating industrial activity in the state. The Government has taken proactive measures to attract investments by creating the concept of “Team Odisha” that encompasses the broad institutional framework of the Government which is engaged in industrial facilitation and investment promotion in all key areas of economic growth. The Chief Minister is the Captain of Team Odisha and the principal goal of the “Team” is to provide necessary synergies and convergence of all Government efforts to ensure Odisha's position at the vanguard of economic and social prosperity. The combination of two words “Team” & “Odisha” embodies the spirit behind every effort that is made towards furthering investment climate and promoting entrepreneurship in the state. The Odisha Industries (Facilitation) Act 2004 has been enacted to provide single window clearances so as to reduce transaction costs and times for investors. The High Level Authority chaired by the Chief Minister and State Level Authority chaired by Chief Secretary have been constituted to consider investment proposals and accord clearances. Industrial Promotion and Investment Corporation of Orissa Limited (IPICOL) and Odisha Industrial Infrastructure Development Corporation (IDCO) have been entrusted with multi-faceted roles of investor support. At the District level, the General Managers of District Industries Centres (DIC) have similar roles. 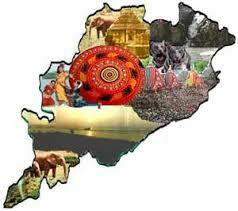 Odisha is the State where clear Purchase Policy is available. As per the Purchase Policy of the State Government under Industrial Policy Resolution, 2001, Items other than those in the “Exclusive Purchase List” or on “Rate Contract” may be purchased by the State Government Departments and Agencies under the control of State Government through open Tender. Local small scale industrial units and khadi & village industrial units (including handloom & handicrafts) competing in the open tender will be entitled to price preference as in paragraph 2. (III) of purchase Policy. All this Open Tender Notices from Odisha State are available on Odisha Tenders webpage. This Orissa state Government Tenders covers all Open Tender Notices Published State Government Department, Local Bodies, Corporations & Boards. Bidders can also get daily email Alerts for Orissa Tenders. To view all India Tenders Bidders needs to visit Tender Details. how can i get orissa tenders information on daily basis.